Absolute Domestics have been established for 16 years providing domestic home cleaning, housekeeping and ironing services to families, professionals, and busy people. Absolute Domestics specialise in providing reliable, experienced and local domestic cleaners and housekeepers for private homes. At Absolute Domesticse, our exceptional service can be fully customised to meet your needs and budget. Meaning you can decide on the frequency, duration and time of any of the services Absolute Domestics provide. 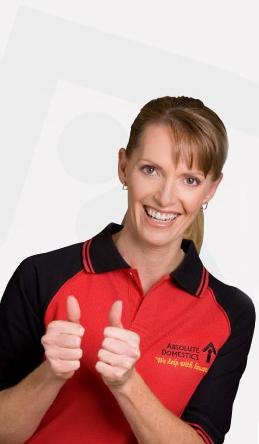 Our home cleaning professionals at Absolute Domestics will help you to alleviate the stress from household chores. Whether it's dusting, mopping, tidying, cleaning fridges or ovens, vacuuming, ironing or laundry, our house cleaners at Absolute Domestics will help to make your home spotless.